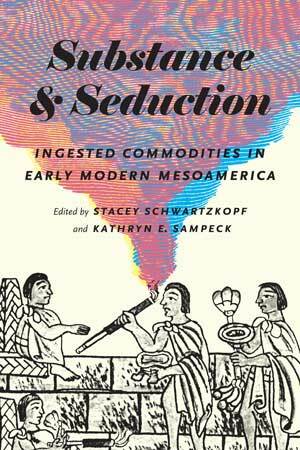 This interdisciplinary anthology reveals how the consumption of seductive ingestibles, such as chocolate, pulque, and peyote, illuminates key linkages between colonization and commodification in Mesoamerica. Chocolate and sugar, alcohol and tobacco, peyote and hallucinogenic mushrooms—these seductive substances have been a nexus of desire for both pleasure and profit in Mesoamerica since colonial times. But how did these substances seduce? And when and how did they come to be desired and then demanded, even by those who had never encountered them before? The contributors to this volume explore these questions across a range of times, places, and peoples to discover how the individual pleasures of consumption were shaped by social, cultural, economic, and political forces. Focusing on ingestible substances as a group, which has not been done before in the scholarly literature, the chapters in Substance and Seduction trace three key links between colonization and commodification. First, as substances that were taken into the bodies of both colonizers and colonized, these foods and drugs participated in unexpected connections among sites of production and consumption; racial and ethnic categories; and free, forced, and enslaved labor regimes. Second, as commodities developed in the long transition from mercantile to modern capitalism, each substance in some way drew its enduring power from its ability to seduce: to stimulate bodies; to alter minds; to mark class, social, and ethnic boundaries; and to generate wealth. Finally, as objects of scholarly inquiry, each substance rewards interdisciplinary approaches that balance the considerations of pleasure and profit, materiality and morality, and culture and political economy. Schwartzkopf is the Charles S. and Lucile Esmon Shively Odyssey Associate Professor of Anthropology at Hendrix College in Conway, Arkansas. Sampeck is an associate professor of anthropology at Illinois State University and a nonresidential fellow at the Hutchins Center for African and African American Research at Harvard University.